With over 15 years of mortgage loan origination experience, Kevin knows what it takes to provide top-notch service for his clients. Whether you are interested in purchasing, selling, or refinancing, Kevin has the knowledge and experience to make your transaction as seamless as possible from start to finish. Kevin has been in consumer finance since 1990, and prides himself on having a well-rounded knowledge of mortgage products including Conventional, FHA, VA, USDA, VHDA, and JUMBO loans. 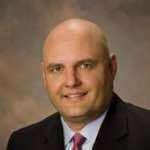 Furthermore, Kevin is the Vice President of Production and Training at Southern Trust since May of 2015, helping Loan officers throughout the company grow their knowledge and client base. Kevin is proud to specialize in many home loan programs including first-time homebuyers, FHA, VA, and conventional loans. He is licensed to do loans in Virginia, with a concentration in the Mechanicsville, Hanover, Ashland, Old Church, The Fan, Museum West End, Southside, Chesterfield, Scotts Addition, Manchester, Richmond, Northside, East End, Midlothian, Short Pump, Powhatan, Goochland areas. Currently, Kevin lives in Mechanicsville, Virginia with his wife (Lisa) of 28 years, has two sons: KJ (24) and Zack (21). Kevin has lived in Mechanicsville for over two decades, and always appreciates the opportunity to speak with people looking to move to the Richmond area. If you have any questions or concerns for Kevin, please do not hesitate to reach out to him at any time. 2. Return your messages in a timely fashion if you cannot answer. Put me to the test and I will show you the benefits of dealing with an Industry expert. Send me a message below or give me a call at 804-793-9793.